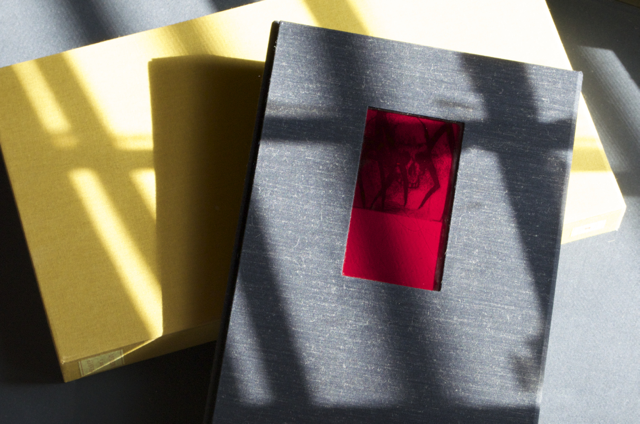 Ten poems by Anthony Hecht were printed in sixteen point Spectrum and illustrated with intaglios by Kuch. These psychological reflections and sometimes first person accountings of scriptural personages bring them to life, forming a figurative minyan, the quorum to commence prayer under Jewish law. 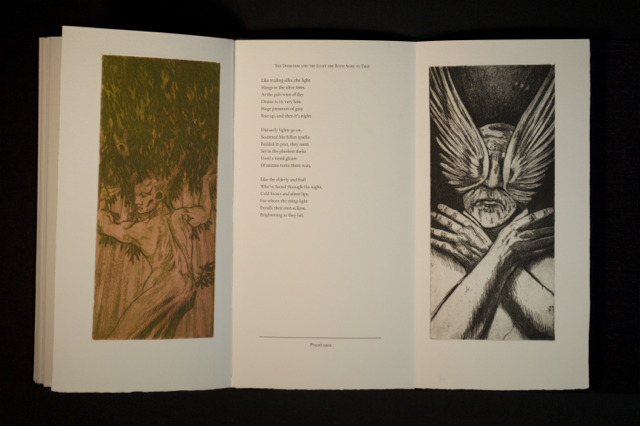 Two aquatints wing each poem, one on the verso, one on a foldout attached to the following recto. Kuch's dark imagery further enliven the archetypal personalities.